Jade is your average 17-year old high schooler with the hot boyfriend and good grades. She is perfectly normal, that is, until she gets into a serious car accident and magically heals in front of her own eyes. What is this super power and what’s going on? Jade’s boyfriend, Aiden, is more than meets the eye and together they will have to figure out what happened to Jade’s best friend when she disappears. If you want a fast easy read with the female special chosen one, a bit of romance, and continuous action, then this is your novel. This book featured a nice blend of action and mystery but was altogether too short for me to fully get into the plot or the characters. 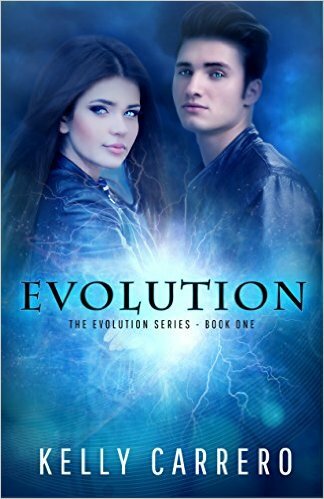 The book kept me intrigued and kept me turning pages, but the plot was a little too much like all the other Chosen One tropes with a teen superhero that has evolved – suddenly – beyond normal human capacity. In essence, despite the action, the book was a bit boring because it presented nothing new. The main character, Jade, was frustrating because she couldn’t guess what was laid plainly for the reader. A lot of the world building was left out of the novel. What do the characters look like? I didn’t even realize we were in Australia, other than the spelling of “sceptical” multiple times to indicate we weren’t in North America. This book and its world building could have benefitted from being longer and taking more time to go into depth into the si-fi/fantasy element and the background/personalities of the characters. The ending also left something to be desired. Overall it was a fun read, but I won’t be reading any more from this author. This novel was published by Amazon Digital Services LLC on April 29th, 2012 and is available on Amazon here.